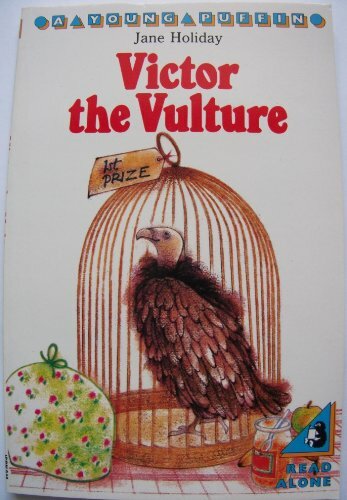 Engaging tale for six to nines about Garth, whose Dad wins a vulture in a raffle. There are problems involved in feeding and keeping him --- and I like the very realistic picture of the community and their struggles to keep pets. At one stage Garth speaks up at a Town Council meeting, and, of course, there's the pompous Councillor Dobbs to be dealt with. A witty, unpatronising style, splendid cover from Jo Worth --- and someone at Young Puffin has found out about making page-breaks easier.